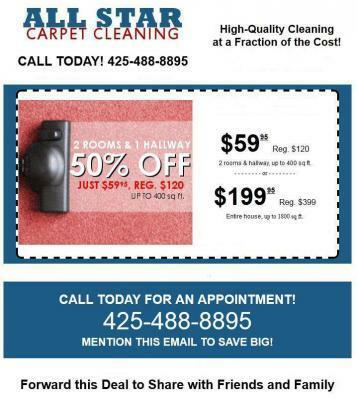 About Truck mount carpet cleaning in Kenmore,Wa. The machine uses an engine that runs on petrol or diesel. On startup, the water heater component starts heating up the water from the water tank. The hot water is then pumped with high pressure into the carpet using a water pump along with the cleaning chemical (that is injected using the chemical injection system). The Vacuum hose and the vacuum blower are then used to extract the dirt or waste from the carpets to the waste tank that is generally fitted to the floor of the van.Benefits:The truck mount carpet cleaning in Kenmore,Wa. Method has a lot of benefits as compared to the other carpet cleaning methods. Some of the useful benefits are:1. Since the waste tank is fitted to the van, it ensures that the extracted waste from your carpets stays out of your house.2. Hot water extraction is the most effective and recommended ways of cleaning a carpet and truck mount units use that method only to ensure that your carpets are cleaned thoroughly.3. Companies that use other cleaning methods will bring in a lot of cleaning equipment (buckets, chemical bottles and some noisy machines) into your house. But with truck mount, all such equipment stays outside your house.4. Since the truck mount system is already set up in the van, the carpet cleaning professionals do not waste any time in setting up the machine and thus start their job immediately.